Police suspect Maugham was driving under the influence. He initially faced charges of 1st degree vehicular negligent injuring and careless operation, but the investigation continues. In Colorado, meanwhile, a suspected DUI driver traveling the wrong way on Interstate 25 in Johnstown stuck a construction worker’s truck and trailer, pushing the trailer into the worker. The crash, which occurred around 2 a.m., sent the injured worker, the female driver and her female passenger to the hospital with serious injuries. Work zone accidents can hit the wallet hard. Anyone convicted of DUI in California already faces fines of at least $390 under the California Vehicle Codes. 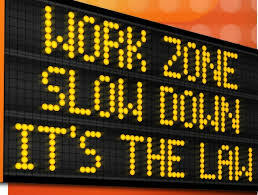 But add in an accident in a work zone, and the fines add up even faster. CVC 42010 doubles fines for traffic violations in highway construction or maintenance zones when workers are present.